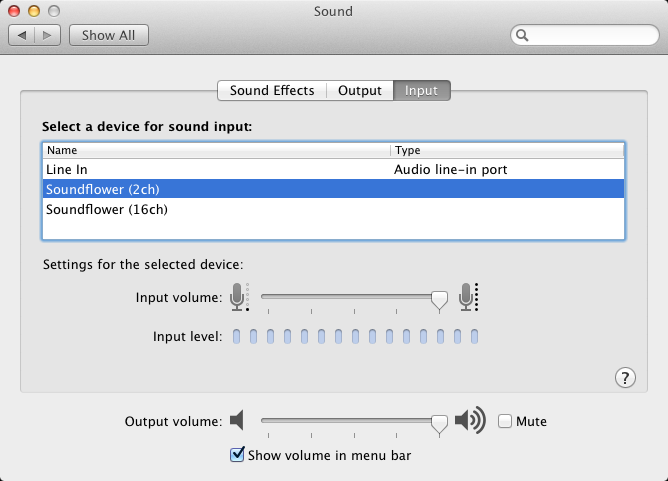 If you are creating a movie on a Macintosh with Screencast-O-Matic, you’ll need to install a Utility Application called SoundFlowerbed to capture audio with the video. Download SoundFlowerbed from https://github.com/crmne/Soundflower/releases and install the application. Once installed, run SoundFlowerbed from Applications. You will not see a user interface when you open the application. 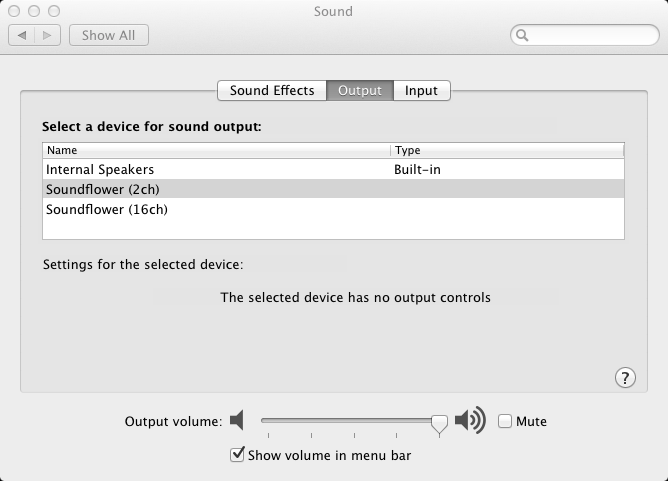 Locate the Flower in the menu bar and change the setting for input for 2 channel. 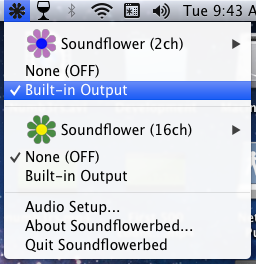 Open System Preferences and go to Sound, click on the Input tab and select Sound Flower 2 Channel. Click on the Output tab and select Sound Flower 2 Channel. Run Screencast-O-Matic, and set the microphone to be Sound Flower 2 Channel. Once this has been set up, you’ll be able to record both audio and video at once.